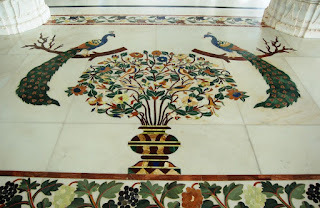 Home » » Marble Inlay Work, an introduction & history What is Inlay Art? 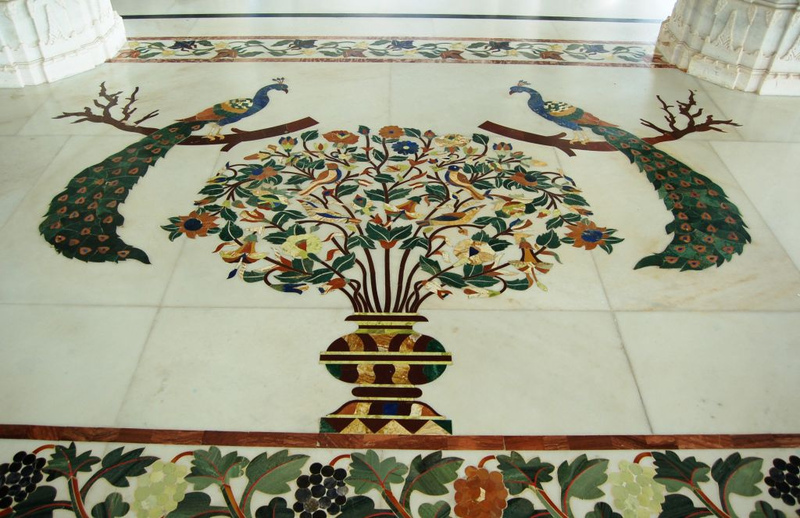 Marble Inlay Work, an introduction & history What is Inlay Art? 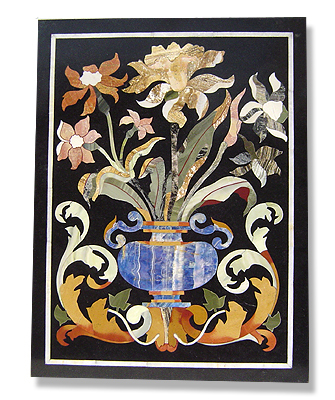 One of the most attractive work of art that comes from marble is "Marble Inlay" work. It is the same work that adorns the Taj Mahal and other Mughal monuments. It is a closely protected traditional art and only a few expert exponents are available today. The delicate process involves cutting and engraving marble shapes manually. To start with, a predefined pattern e.g., floral design or geometrical design is engraved on the marble slab. Small pieces of marble of different shades are cut delicately to fit in these grooves precisely. These small pieces are then slipped in the grooves. Apart from marble, many other materials can also be used. Inlay work on delicate precious stone began in the workshops of Florence in Italy around the end of the 16th century. This was known as PIETRA DURA. (Pietra= Stone, Dura= Hard) The Italians had created a classic artistic form and held a monopoly over it. From 1630 onwards pietra dura appeared on moveable, small objects as decorative panels, with bird and flower motifs, suitable for cabinet fronts and table tops. Some of these soon reached the Mughals in the form of presents.